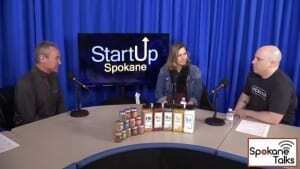 Join hosts Steve and Megan as they explore the excitement and momentum growing throughout Spokane’s startup community. Local entrepreneurs and experts will share their stories and experiences and will help startups and small businesses understand and access the resources available within Spokane’s entrepreneurial support system. Steve has over 30 years of experience in large organizations and start-up environments and is a Regional Business Manager at Avista, where he serves as business and public policy liaison to municipalities throughout eastern Washington. Megan is the Program Manager for Startup Spokane, a program of Greater Spokane Incorporated. She has a unique set of skills and experience that enable her to assist individuals launch new businesses, and help existing businesses to grow. As a previous business owner herself, Megan has worked through all aspects of owning and operating a business. She has an extensive background in providing training and mentorship. This combination makes Megan a valuable resource in the greater Spokane entrepreneurial ecosystem. Click here to view Startup Spokane’s blog!